The Convivio Now and Again Series comprises oral histories from Italian-community members. In these excerpts from interviews with various community members, they discuss cherished remembrances of their time spent at Washington Elementary School in Little Italy. 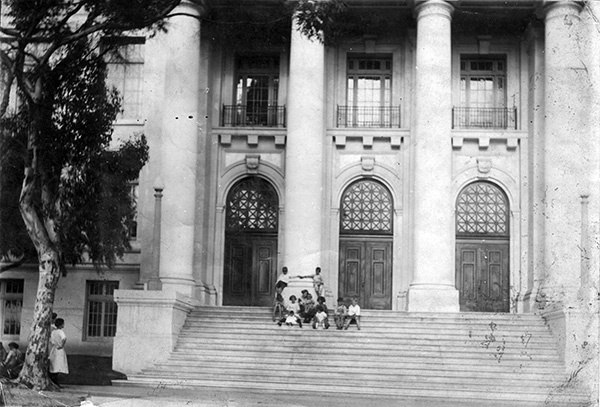 “It was a beautiful old school. I was very athletic. 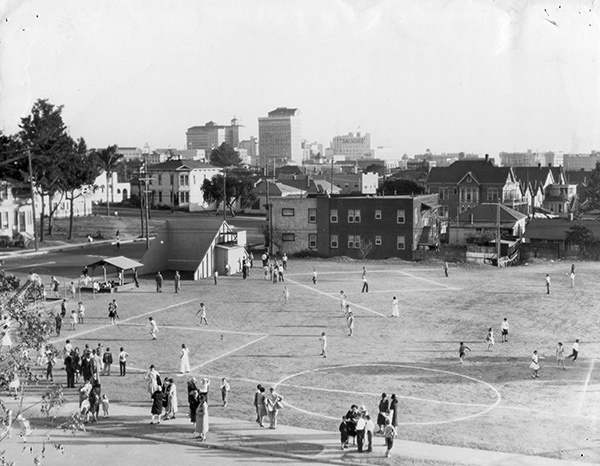 I played on the playgrounds and played on the rings and enjoyed all my little friends.” Fran Marline Stephenson remembers fondly her time at Washington Elementary in the heart of Little Italy. She makes a point to note her affection for the librarian at the school, Mrs. Krause, who would spark Fran’s interest in reading. More important, she would help Fran in learning how to pronounce words, as Fran had difficulty in this regard. Today, Washington Elementary, its initial foundational structure long faded into memory, has been rebuilt and restructured for a new generation of school kids. Washington Elementary still serves as a pillar of the Little Italy community. 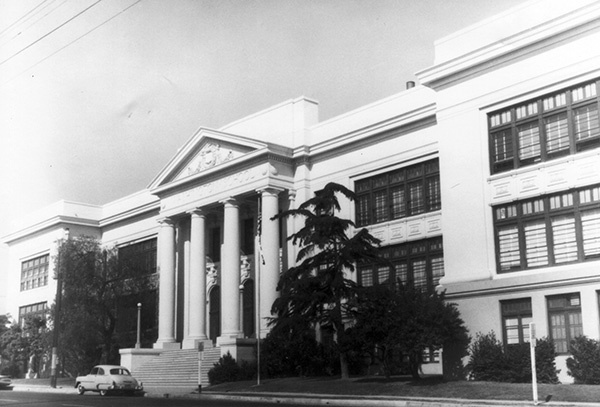 See more historical images of Washington Elementary and the surrounding area at italianarchives.org. Visit: conviviosociety.org to learn more. —Tom Cesarini is the executive director of Convivio. Reach him at tom@conviviosociety.org. It was 1980 when the school was torn down? I was here in 1977 and I feel as though I would have seen it and remembered the demolition. Is there any chance it was earlier? And p.s. what a loss! what a magnificent building! Hi, Kristen, That’s the date we have–trying to confirm. Yes, a big loss in terms of the architecture! Happy the school is going strong in the community. Thanks for commenting!